This is a Sponsored Post written by me on behalf of Avalon Waterways. All opinions are 100% mine. This is the vessel of all vessels! For anyone who loves a cruise, this tops them all. 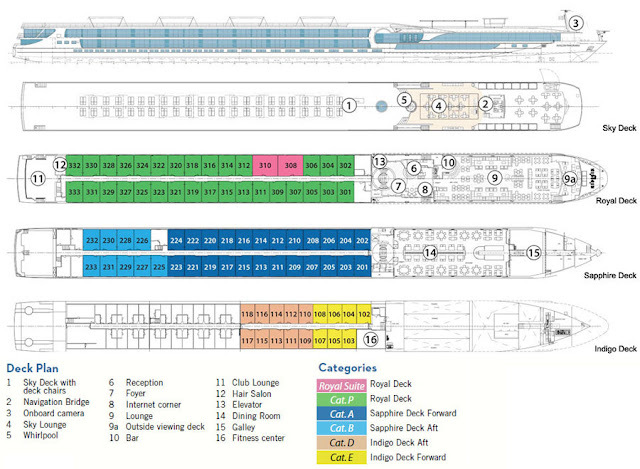 The Avalon Waterways is the biggest of any other cruise ship on Europe’s waters. It’s the first ship of its kind. It's a brand new kind of vessel, that sets sail for the first time in 2011. 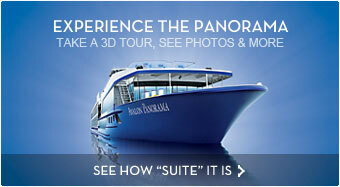 The new Avalon Waterways features two full decks of suites that have Wall-to-Wall Windows. The Panoramic windows transform the rooms into an Open-Air Balcony. The average Panorama suite is over 30 percent bigger than the standard sized cruise room, ranging at 200 square feet. Some features include: Internet with Wi-Fi access, library, fitness center, and a spacious Sky Deck with lounge chairs, shade system, whirlpool, and an Open-Air Bistro. Enjoy your cruise through Europe's finest rivers of the Danube, Rhine, or Main and enjoy the beautiful scenery through the gorgeous view of your room. I can only dream of a vacation like this. I've never been interested in going on a cruise in the past, but I sure wouldn't mind trying out this for my first! With all the wide variety of unlimited food, I'm sure I'd ruin my diet... but isn't that what cruises are known for?!!! Visit http://socialspark.com/metrics/click/post?slot_id=312762&url=http%3A%2F%2Fbit.ly%2FavccFU to find out more!